Known as a champion of the arts, especially Native American arts, Commissioner JoAnn Balzer is fascinated by the connection of art and science, and passionate about nurturing creativity. 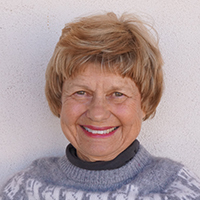 Balzer currently serves on the boards of the Lensic Performing Arts Center and Santa Fe International Folk Art Market. She was development director for the Western States Arts Federation (WESTAF), museum campaign director for the Spanish Colonial Arts Society, executive director of the Institute of American Indian Arts Foundation, and interim president of SWAIA, the Santa Fe Indian Market.